Medieval men's hat, one of the most popular models in ancient Rus of the XII-XIII centuries. 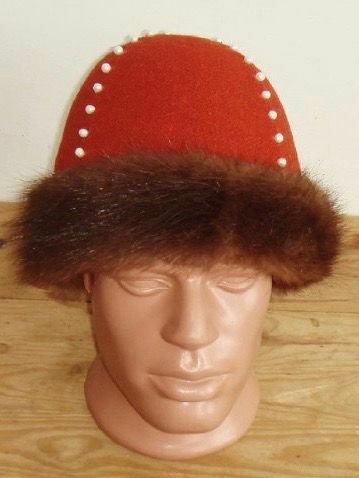 Fulled hat is covered with homespun woolen cloth and furred with beaverskin. It has lining of natural linen and is decorated with beautiful pearls. Please choose the wished color in options.